Over the years I've gone through quite the transition in my wardrobe. Playing with "fashion" is a hobby for me, so I enjoying adding to my wardrobe and making new outfits. I've had some horrible interesting ones; there have even been a couple times I've gotten to work and realized my outfit was just weird and changed at lunch. But regardless, playing with my style is something I enjoy - unfortunately this means I hold on to things way too long. To inspire you to take to your closet, I'm sharing a few tips to help you clean out your own wardrobe and also a few to help you add some things back into it. Think of it as a reward for clearing out clutter. 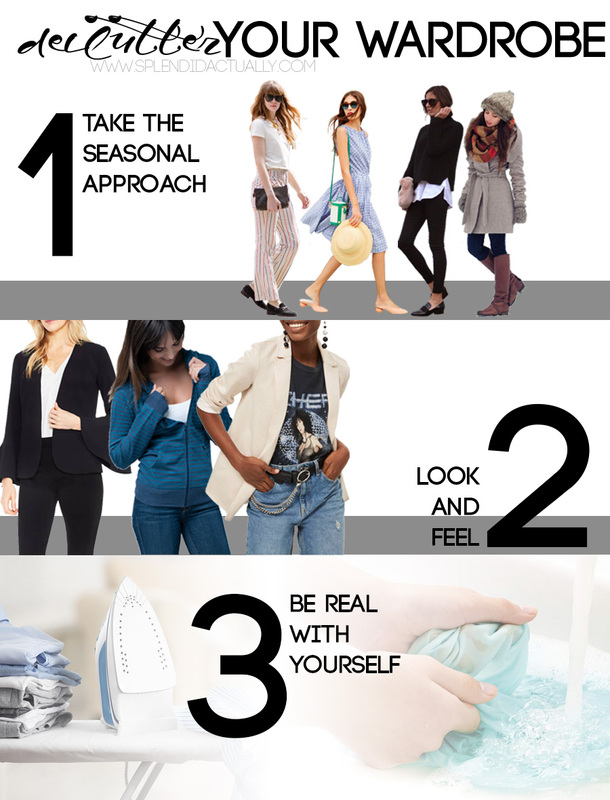 1 | Go into your closet at the start of each season. Consider whether the items you have would be ones you would still buy and wear this year. That printed dress that was so trendy last summer that you wore the heck out of? Would you still buy it and wear it this season? If so keep it! If not, donate it. 2 | Do the items you have make you feel confident and comfortable? Do you look amazing in it - thus making you feel confident and comfortable? If so, keep it! If not, is there a different way you can style it that would make you feel your best in it? If the answer to both is no, donate it. 3 | If an item needs repaired or tailored and you haven't gotten around to dealing with it, it's probably not going to happen. Put it in your car right away and if you haven't dealt with it in a week, pull an Elsa and LET. IT. GO. Does it always need ironed or handwashed and you're just not about that life? It's lasted too long in your closet already then. Be real with yourself; you know what you're willing to put up with - if something is too high maintenance, pass it along. Once you've decluttered, it's time to think about restocking with quality. As I've gotten older, I've begun to realize that quality can make a huge difference, especially when it comes to basics. Spending more on basics that can last a long time makes a lot of sense to me but I've also realized that spending more doesn't mean quality. 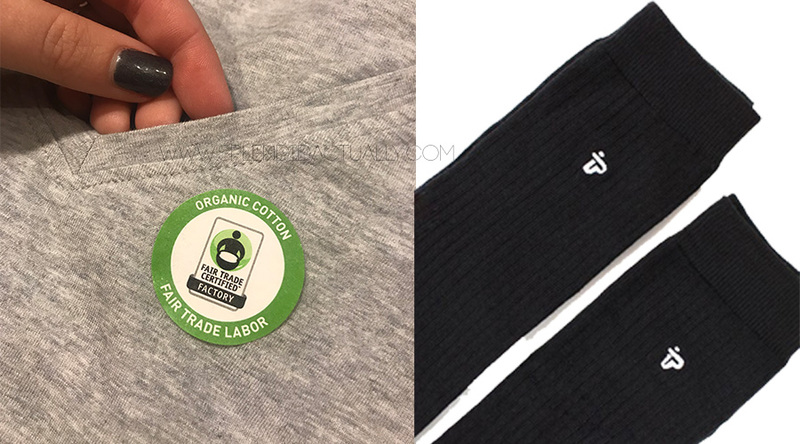 When you go to restock your closet, look for companies that use materials and practices you feel comfortable supporting. Knowing you're wearing items that are made ethically and chemical free has to make you feel good in your clothes. 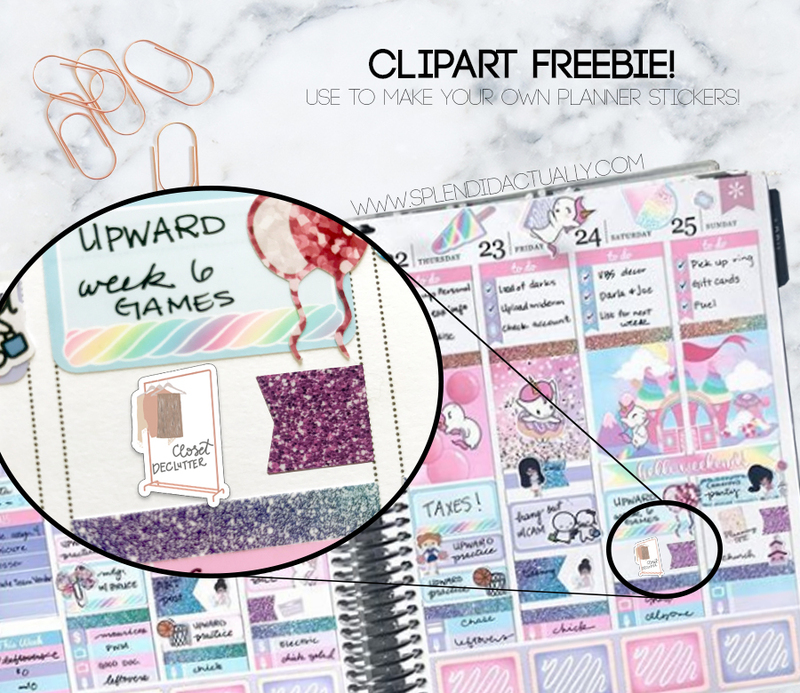 BONUS: For my fellow planner girls, here's a clipart freebie to make stickers or diecuts with! If you have to clean your closet, you may as well make it look cute in your planner!